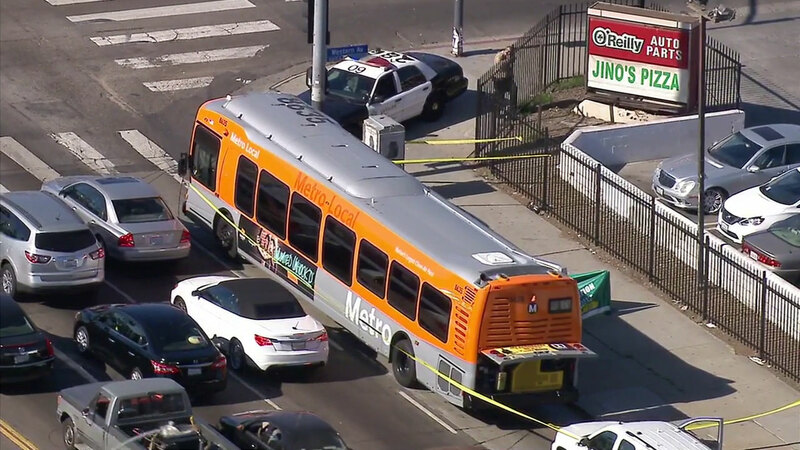 SOUTH LOS ANGELES (KABC) -- A passenger died of an apparent heart attack Friday morning on a Metro bus in South Los Angeles, transit officials said. The incident occurred at around 10:30 a.m. near the intersection of Western and Manchester avenues. The bus was not involved in a collision, according to the Los Angeles County Metropolitan Transportation Authority. The deceased person was not immediately identified. Sheriff's deputies responded to the scene, where the bus was surrounded by police tape and one lane on Manchester Avenue was closed.